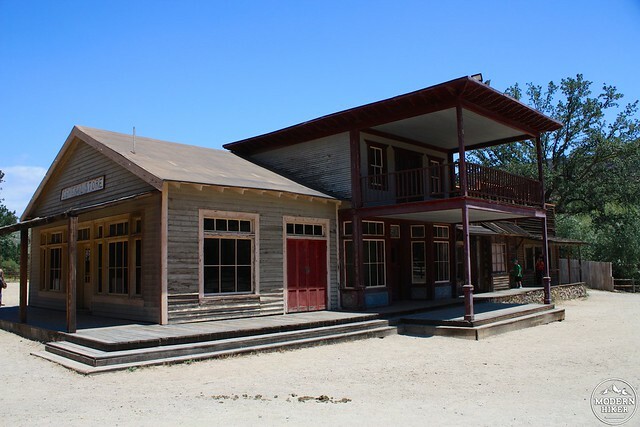 As a hiking area with entertainment industry cred, few places can match Paramount Ranch. 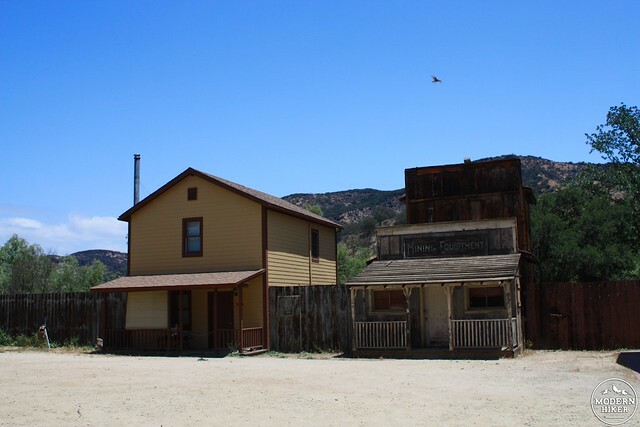 Since 1927, this former ranch has stood in for dozens of locations in hundreds of movies, TV shows, and internet programs. Al Jolson and Gary Cooper were here, as were W. C. Fields, Mae West, and the Marx Brothers. This is where Bob Hope was “Caught in the Draft,” Robert Stack was chased by lions in “Bwana Devil” in NaturalVision 3D (and later, by the unknown in “Unsolved Mysteries”), and Bradley Cooper brought Chris Kyle to life here in “American Sniper.” “Gunsmoke,” “Charlie’s Angels,” “McaGyver,” “Dynasty,” “Dr. Quinn, Medicine Woman,” “The X-Files,” and “Weeds” all shot here amongst many, many others (the Park Service has a full list of films and television programs that have shot here on its site). 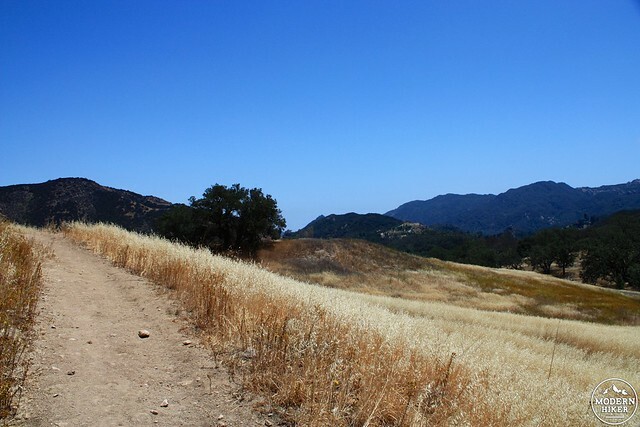 Today, the site is still a very active filming location, but it’s also a gem of the Santa Monica Mountains National Recreation Area and — for my money — one of the most unique sites in any National Park in the country. 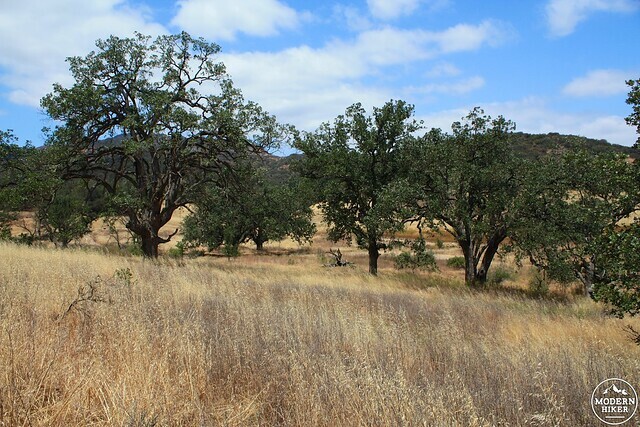 In addition to the main attraction Western Town, the park’s trail system takes you through several of the plant communities in the region, including the rare valley oak savannah. 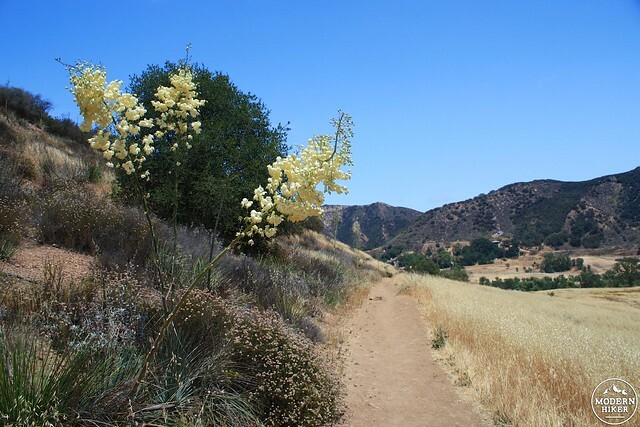 Great for kids and beginner hikers, this site has more than enough to warrant a visit — especially if you combine a stop here with some of the nearby trails in the Santa Monica Mountains. 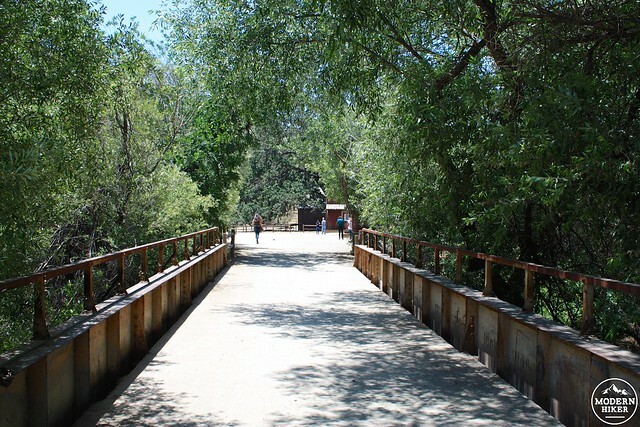 Begin at the parking area and cross the bridge over Medea Creek to be instantly transported to the Wild West. With some Hollywood Magic (i.e. lighting, props and wardrobe, and an endless supply of coffee and granola bars from craft services), crews can turn these buildings into just about anything they need. 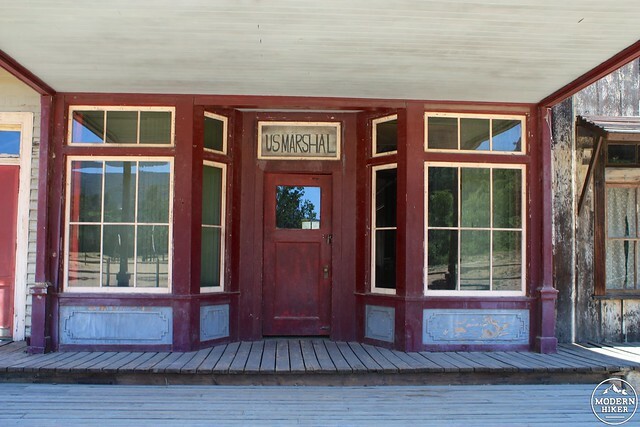 You can stroll through the Western Town’s buildings at your own pace and imagine your own backdrops … or wonder if you’ve seen them on screen before. Peek inside some of the windows to see lighting rigs. Maybe look up to see a hawk with a snake in its talons flying over a stand-in for a Mining Equipment store! In the “center of town,” be sure to stop to check out the massive oak tree that dominates the scenery. Just to the west of the town, a faux train station doubles as a shaded picnic area. From here, you’re done with the stroll through set pieces and are about to get a taste of the park’s natural beauty. Just to the west of the train platform, look for the signed Coyote Canyon Trail. 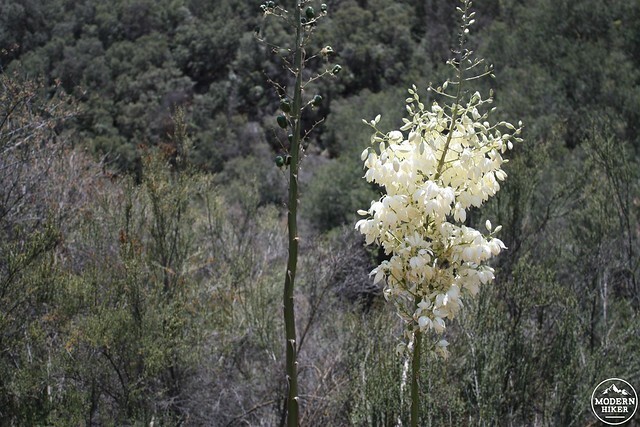 This trail heads west along a riparian corridor, but the trail itself is mostly chaparral. 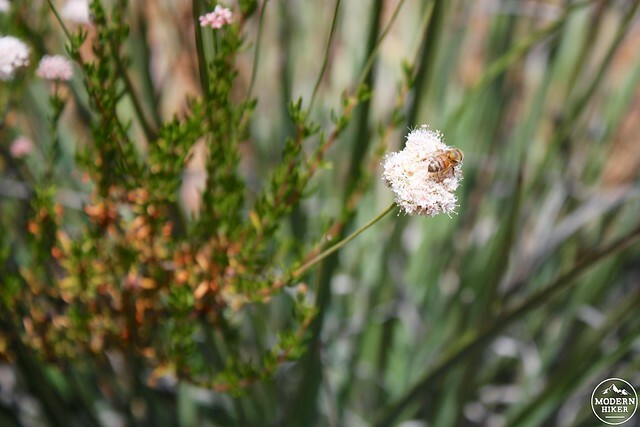 Look for blooming yucca, buckwheat, and tarweed late into the spring. The trail switchbacks on itself at about the 0.4 mile mark and turns toward the east. At 0.5 miles there’s a short turnoff for a picnic area as views of the Western Town and the rest of the park’s open space unfold before you. At 0.6 miles, take a left onto the Hacienda Trail. It winds its way around a low hill (the trail splits but both meet up on the other side). Here, you’ll start to see some of that oak savannah you’ve been hearing so much about. 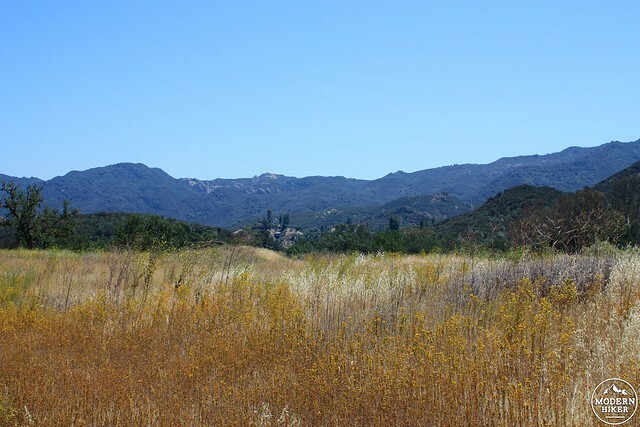 With the tall grasses and distant mountains, it’s tough to believe you’re only about 20 minutes away from Thousand Oaks and the San Fernando Valley — but the vast majority of California used to look something like this. Kind of strange to know that now the entertainment industry uses it for stand-ins for other continents, isn’t it? 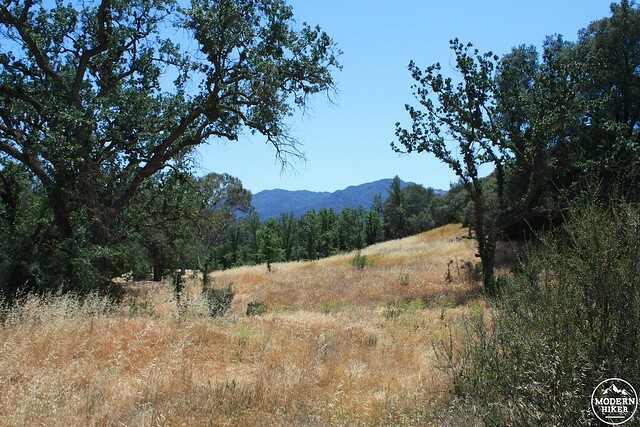 At 0.9 miles, take a left onto the Medicine Woman Trail (named for the fictional Dr. Quinn) and climb a short hill past an area of dense oaks known as the Witches’ Wood. The name sounds mystical but it only dates back to the 1970s, when fortune tellers set up shop in the area during the Renaissance Pleasure Faire. At the top of the small incline, take a right onto the Backdrop Trail, named for the area’s lack of man-made structures (and popularity as a background on various sized screens over the years). The Backdrop Trail hugs the edge of the grassy field and heads toward the northeast. 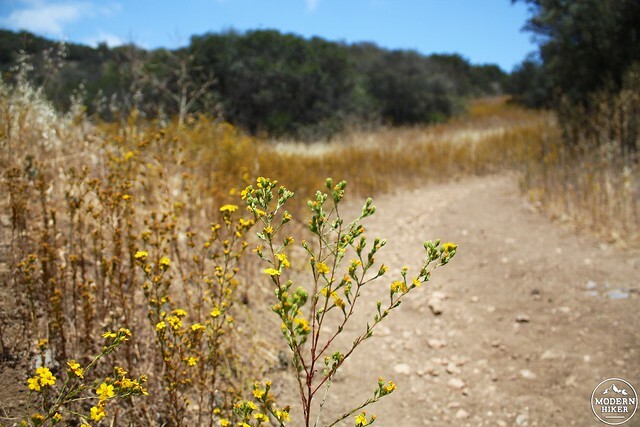 There are many old ranch roads and use-trails that criss-cross the park — to stay on the Backdrop Trail, just keep to your left and enjoy the views. Official park maps note the unmaintained Paramount Ridge Trail leaving near the 1.6 mile mark, but it’s very faint. 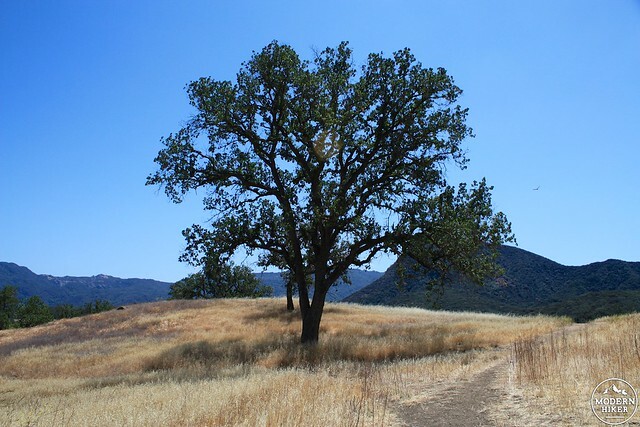 Stay on the Backdrop Trail until you reach a large oak at a trail junction. Take a right to start on the Bwana Trail, which loops back beneath the Backdrop Trail and aims toward the southwest. 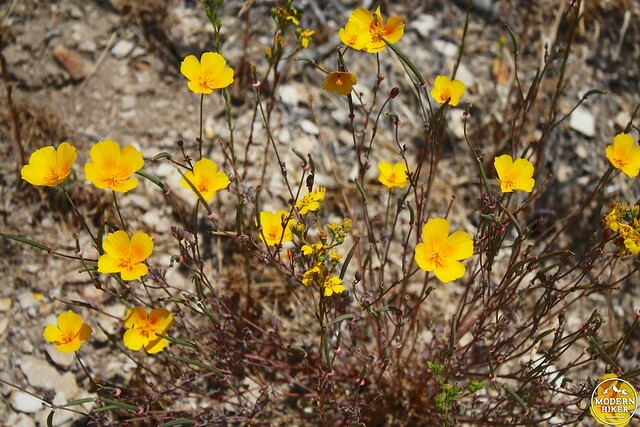 You’ll pass through California poppies, grassy fields, and beneath majestic, sprawling valley oaks along the way. This part of the trail also has several official and use-trails as it makes its way back to the Western Town. Take any one you’d like or just stay to the right until 2.4 miles when you can stay straight at the four-way junction to join the Medicine Woman Trail for a few hundred feet. The Trail ends at the ranch’s historic race track, built in 1955 and closed just 18 months later after three fatal accidents. Take a right to return to the Western Town’s train station and exit the way you came in. Very good. The trails in this park are well-used and well-maintained. However, many junctions are not signed and there are many use-trails and old ranch roads on the property -- so pay attention at junctions. 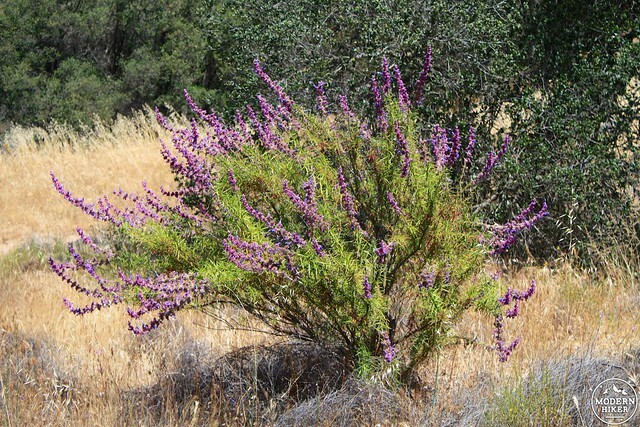 From the 101, take the Kanan Road exit in Agoura Hills and head south for 0.5 miles. Take a left onto Cornell Way. 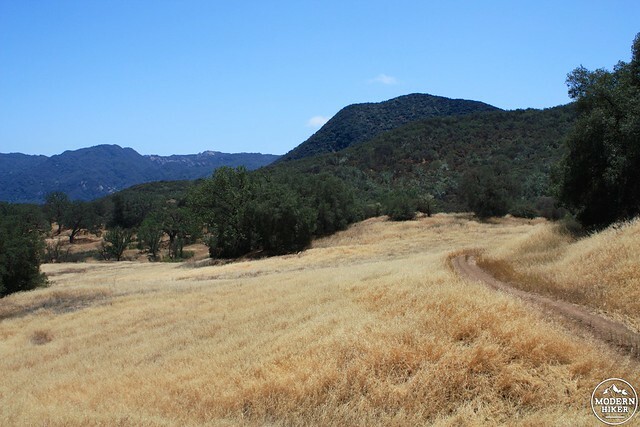 In 1.9 miles, Paramount Ranch will be on your right. 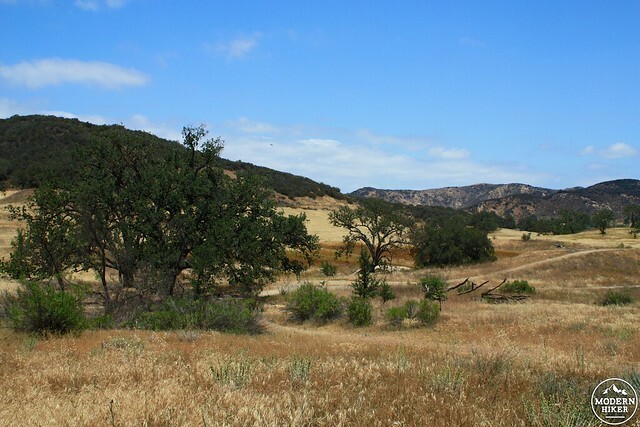 Sadly, the Woolsey Fire blasted through Paranount Ranch in November of 2018. The historic 1920’s era Western Town mentioned here burned to the ground along with the Ranger’s home that was onsite. As of this writing, only the recently constructed church from “Westworld” still stands. It also looks as if the giant 100 year old oak tree mentioned in this article will probably not survive. 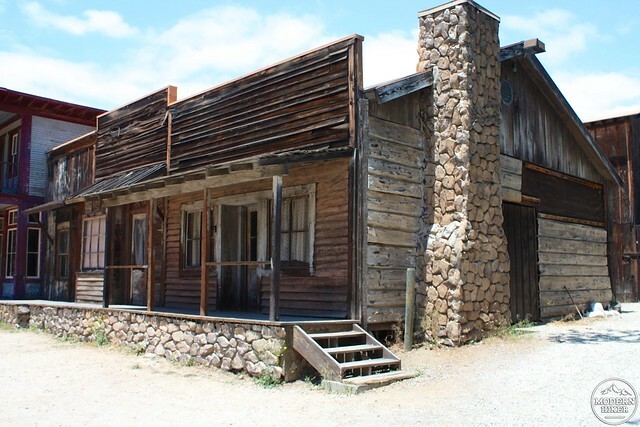 Truly a great loss to those of us who have enjoyed Paramount Ranch as a hiking and biking destination for decades.